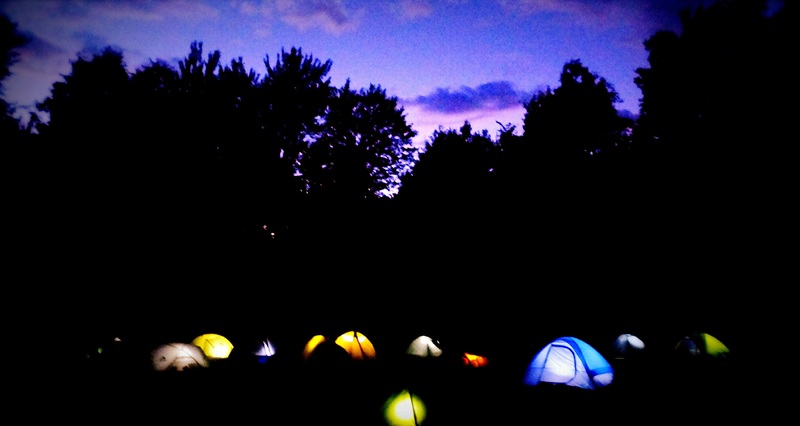 The experience of forming a camping community together is an important part of our pedagogy. Not only is this our live/work space for the duration of the field school, but we actively try to invent techniques that work with and are responsive to the event’s particular thematic. We are visitors to a variety of different spaces across Canada and Turtle Island. Our considerations and actions within these spaces and ecologies are also an important part of our pedagogy: host cultures, traditional knowledges, and the connection with land proper. Our camping commons wants and hopes to be a space for an interweaving number of cares: care for self, care for others, care for the event, and most importantly, care for the land and water. While the curators are responsible for offering a structure to the event and for providing meals each day, we do ask that everyone in residency help make a contribution to camp life over the course of the week (eg. food prep, cleaning, firewood, organizing).